A special welcome to all of our military families. We are happy to have you in our community and grateful for your service to our country. 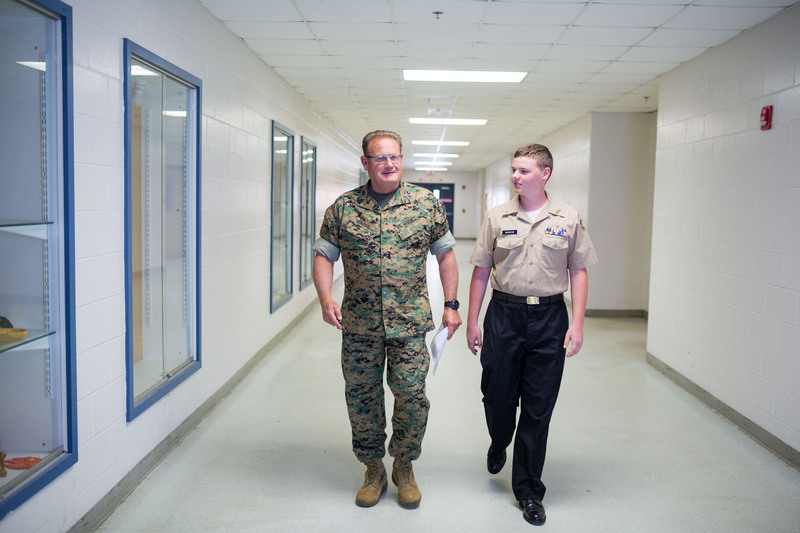 Supporting military dependents who attend our schools is of utmost importance to us. Superintendent Bill Husfelt has established a strong and mutually beneficial relationship with the leaders at our local bases. Teachers, administrators, and staff throughout our school district recognize the special challenges for those who serve in the armed forces and we fully understand that it is the entire family who serves. School Liaison Officers (SLOs) have been put in place at both Naval Support Activity Panama City and Tyndall Air Force Base. They work closely with school district staff to ensure that we meet the unique needs of military dependents. The SLOs from each base will be happy to assist you with the district’s online registration process. Contact information for School Liaison officers is listed below. School Liaison Officers also network, educate, and work in partnership with local schools to establish support programs. These support programs include but are not limited to, classroom mentoring to enhance the educational experience for both military and civilian students, Student to Student peer groups (S2S and JS2S), Federal Impact Aid awareness initiatives, and specialized training for guidance counselors, teachers, and administrators. SLOs have also established S2S and JS2S support programs in area high schools and middle schools. Students receive training and guidelines to establish and sustain peer-based support systems in their schools with the primary purpose of providing support for students as they transition to new schools. Click here to learn more about S2S and JS2s. Bay District Schools is also a member of the Military Child Education Coalition (MCEC). In 2011 and 2015, MCEC awarded a Pete Taylor Partnership Award into The Bay Area Education Alliance, a working partnership that includes the school district, Naval Support Activity Panama City and Tyndall Air Force Base. This alliance was one of just a few partnerships worldwide that received the award. Click here to read details about the alliance. If you are interested in employment with the school district, please refer to the Human Resources department on the Bay District Schools website. Military Family Life Counselors (MFLC) are professional licensed clinicians with Masters or Doctorate level education and have experience working with children. MFLC's offer confidential, short-term, and non-medical counseling services to children, parents, faculty and staff while supporting teachers and administration at their assigned schools. These counselors work directly with military children, families, or adults impacted by a military child. You may utilize the contact information below to get in touch with the MFLC at each school campus. Retired Military and Veterans Troops to Teachers is a DoD program that provides career transitions assistance services to current and former military personnel who desire a second career in public school teaching. Some program participants may receive a stipend of up to $5,000 to pay for certification requirements and a bonus of $5,000 or possibly $10,000. There are no obligations or cost to register, but you must be registered before taking a teaching contract to be eligible for the financial assistance. For more information contact the local TTT representative, Mr. Ken Johansen or the Florida Director, Mr. Ron Burton or go to the Troops to Teachers web site proudtoserveagain.com to register.